Suddenly the TV future has arrived. This week HBO announced that it would make a version of its popular HBO Go service available for the first time without a cable subscription. 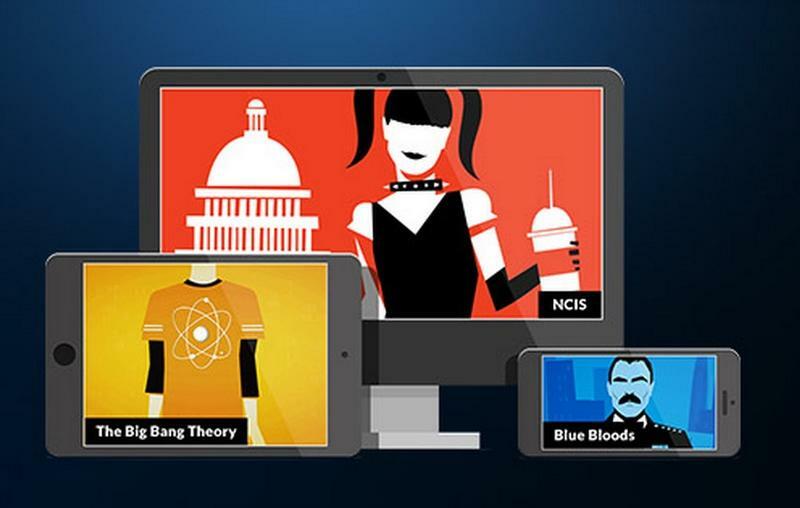 Then CBS released its CBS All Access service, which streams the full network (with one humongous exception), along with providing access to back catalogs of shows for a monthly fee of $5.99. These two moves are simply the surface of a powerful glacier that’s slamming into the Titanic – aka the traditional TV industry. Netflix, for example, lost nearly a quarter of its market value a few hours after the HBO announcement, while other players began to either rapidly play catchup, or accelerated their own direct-to-consumer streaming plans. The CBS move is particularly interesting. Clearly the company moved to build an Internet-streaming version of its live feed to compete with Aereo – the virtual antenna company that was shut down by the Supreme Court earlier this year. 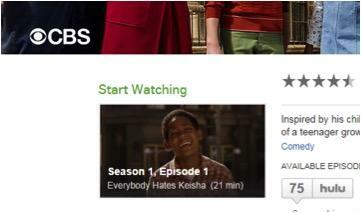 Even with Aereo out of the picture, CBS decided to launch its service anyway. I don’t know if HBO’s announcement was designed to upstage CBS – or if CBS rushed its launch based on HBO’s announcement. In the end, it doesn’t matter. The on-demand genie is out of the bottle, and even though CBS’ service is terribly imperfect, it’s out there. Other networks will have to respond – and they will, with better and more robust offerings. Unfortunately CBS’ product is less than perfect. You can only watch the live stream if you live in 14 of the biggest cities in the US – typically where CBS owns its own affiliate. However even if you live in one of those major cities, you’re still not getting everything. That’s because CBS All Access doesn’t include NFL games – which make up a huge part of CBS’ value for many viewers. The league and the network are in negotiations over whether this will change, but until then it’s very incomplete. I tested CBS All Access this morning and found the streaming – at least here in San Francisco – to be good. Compared side – by –side with the HD feed coming through my ATSC antenna, though, the streamed video was washed out and blocky. It’ll look OK on a tablet or, laptop, but it won’t look anywhere near as good as an over the air or cable-connected HD feed on a big screen TV. Of course, if you really HAVE to watch Let’s Make a Deal in the office, then the quality issues won’t matter to you as much. The streaming signal also lags compared to over the air signal by about 35 seconds, which can be a problem for live sports. Unfortunately, even though the live TV player includes a paused button – it’s greyed out. Thus you can’t stop live TV, rewind it or alter the stream in any way. 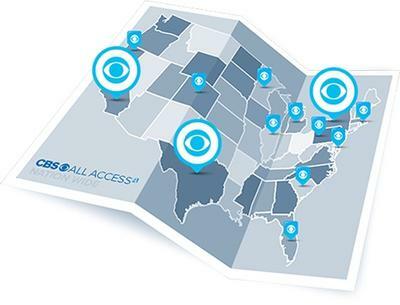 Although CBS All Access claims “anywhere anytime”, it’s unclear whether that applies to live streaming. I live in San Francisco and am now paying for the service (at least for a few days). Will I be able to stream the San Francisco CBS affiliate KPIX when I’m in, say, Oregon? I don’t know, but as luck would have it I’ll be in Oregon and Washington state later this week and I’ll report back on what I find. UPDATE: I tested this on the road this past weekend in Oregon and Seattle. Because the app looks to the browser for location information, it did not work in either Eugene or Seattle. In Seattle my assumption is that because CBS does not own the local affiliate – and hasn’t worked out a deal with that station – the feed was blocked. But if I had travelled to New York City, for example – or any of the other 13 markets that are included – I could have seen that local live feed. 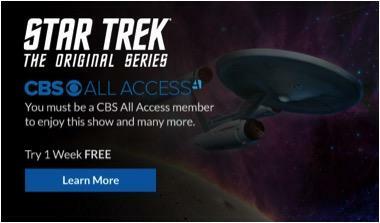 CBS claims All Access has 5,000 episodes of classic TV – a.k.a. shows from the past — compared to the 1,000 or so available on Hulu and the free version of its site. I must have run into some day 1 jitters, then, because I only found one old program on its service when I went to look – “Everybody Hates Chris”. And I could also watch all 75 episodes of that show on Hulu – if I were so inclined – as well. Still, CBS All Access – no matter how imperfect and incomplete – is like a singing frog. You don’t care how well the frog sings, the fact that it’s doing it at all is the wonder. When I worked at big media companies, we would always debate when traditional cable-TV and satellite bundles would give way to an ala-carte and on-demand world. Some would argue that it would take years, and move slowly – while others postulated a rapid transition once the first mega-moves began. I was usually in the latter camp, drawing on the media history I’d seen when the web disrupted magazines. From 1998 to 2000, tech magazines, in particular, went from the most profitable business ever to complete disruption. A few years later most of those popular magazines were dead. This is the beginning of the end of the traditional TV industry. But there are still a lot of kinks to be worked out. First, price needs to adjust somewhat. If each major broadcast network is going to charge $6 each, that’s $24 a month just for the big four. Add in $8 a month for Netflix, $20 or so for HBO, and you’re already over $50 a month for not a lot of programming. Suddenly Aereo – which was under $10 a month for every over the air channel in your town and a cloud DVR – seems like an incredible bargain. And the Aereo shutdown now seems more likely to be about cost and control, rather than any of the other spurious arguments that were floated in front of the Supreme Court. Unfortunately there was no way to report the problem – so I closed the browser and started all over again. Once I was up and running, it was difficult to figure out what was part of the All Access package and what was free. Survivor, for example, was available both on CBS’ free website and my “All Access” enabled version, with nary a difference in look, feel and ad load. The inability to clearly separate what’s free and what isn’t could lead to early buyer’s remorse. 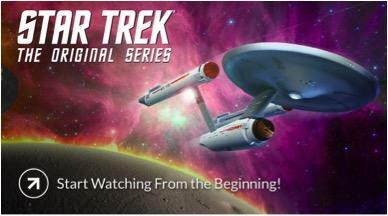 But when I was logged in, I was able to “start from the beginning” and presumably begin an epic 79-episode binge. Looks like I’ll be boldly throwing my weekend plans out the window. Aereo set the bar for what a web-streaming broadcast platform could be. It was far more elegant and useful than CBS’s site – or any other TV Everywhere product I’ve tested. But that’s not the point. 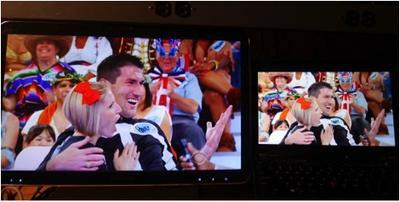 Now that CBS is out of the box, I expect most other TV networks to follow over the next 18 months. And when HBO and Showtime are available without a cable subscription next year, I think we’ll see cord-cutting and cord-shaving dramatically accelerate. The big networks and distributors – including Comcast, DirecTV, my old company Discovery, Viacom, Disney and others will be fine – after a few hiccups. But smaller players, including Al Jazeera, AXS, Ion and others are in big trouble. There just aren’t as many people willing to pay for those services on demand to make them viable. In a few years our TV landscape will be radically different. Because the unlike the fat lady, once the frog starts singing you won’t be able to get him to stop.